Lots of us vegans have tattoos. It just is. So whether you are looking for aftercare directly after getting your fresh tattoo, a cream to keep it hydrated and nourished or just a daily moisturizing cream, I think I've found the product for you! Cruelty-free (that's right, NEVER tested on animals, just on humans), vegan, organic and earth-friendly ingredients, Ink Nurse is a fantastic remedy cream for tattoos and for the skin in general...and I am mad that this was not available when I got my tattoos! Especially since it is only $20 for a 100ml jar! Sweeeet. So I wanted to try this cream out for a while before writing about it, and I'm glad that I did because it has been proving great on my skin. Here I chose to photograph one of my tattoos. 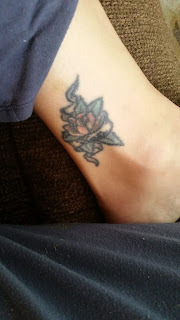 This one is the oldest and my first tattoo and is located on my ankle. This one could appear the most faded, that's why I chose to use the cream on this one for test purposes. There's a funny little story about this tattoo. I was 13 years old and my older cousin had gotten a bottle of India Ink. He gave it to me, and I did a homemade tattoo on myself...of a boy's initials who I was seeing at the time. Yes, I know...DUMB, DUMB, DUMB. So, when my mom finally found out, she flipped out and was mad about it every single day. Then when I was 15 years old, we went on vacation to a beach town in Maine. There was this really cool tattoo parlor and I had convinced my mom that if she signed for me for a tattoo to cover this boy's initials (who I was now no longer seeing), that she wouldn't be so mad anymore. She agreed. 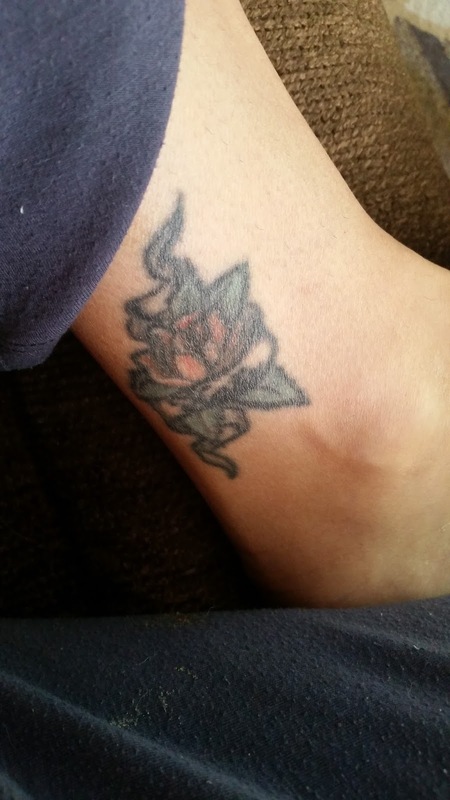 I got this rose tattoo with my name, "Katie" on it and it is still my favorite. The tattoo artist was awesome, this cool old guy, he reminded me of Steven Tyler, and knew everything there was about tattoos. Here is the "after" and as you can see, visible difference and improvement. It doesn't look brand new, because it is like a 20 year old ink, but it looks pretty decent right? Imagine what this cream can do on a fresh tat. "Anti-authoritarian, untamed and reckless, we exist to disrupt the industry that has been plagued by products without integrity and quality. Besides, we love animals, human beings (most of them) and Mother Nature. 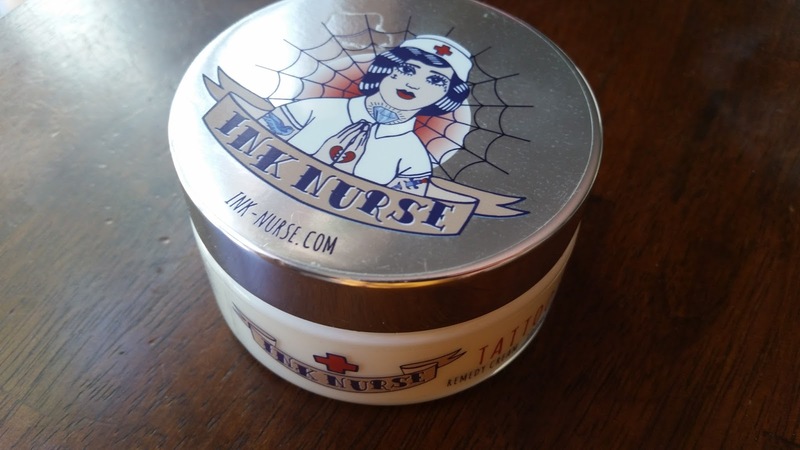 So we put it all together and created Ink Nurse. 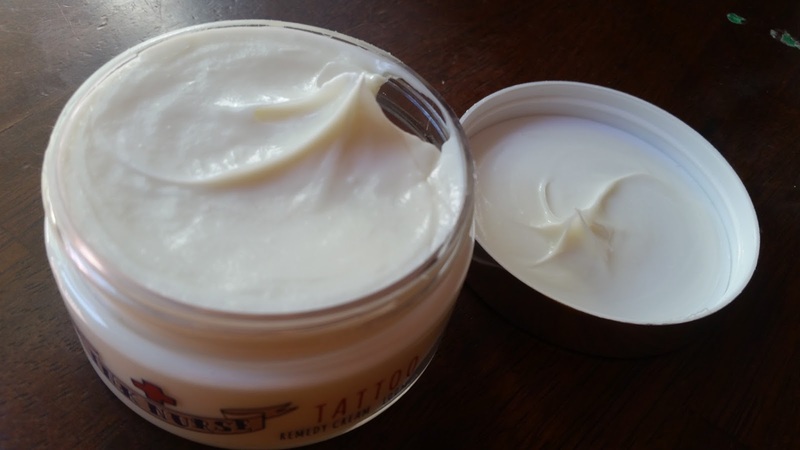 A badass, ethical, cruelty-free, product that no one else compares to when it comes to tattoo skin care. Our core ingredients are special because they revitalize and rejuvenate existing faded ink pigmentation, eliminate itching, anti-inflammatory, antibacterial, free radical reduction, rich source of vitamins A, C & D, softens skin and restores elasticity and has wonderful healing properties for just about any skin irritation under the sun! Our brand and product are second-to-none. It's not cool to harm your bodies, Mother Nature and its inhabitants. Now you have a choice of a high-end product with a positive ethos!" And for now, the Dirty Vegan is signing off. I hope your day smells like roses...just NOT 20 year old roses, those wouldn't smell nice at all after all that time! Byeeee! Fab Glasses: Get the Designer Look NOT the High Price Tag! Sometimes when I see celebrities and famous people wearing cool eyewear, I wonder to myself, how can I do that without breaking the bank? 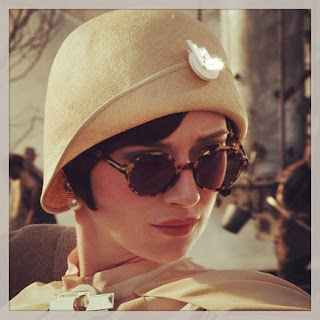 I especially like the recent trend of the Great Gatsby era style sunglasses. I noticed that celebrities like Leonardo DiCaprio and others were wearing these super cool looking shades, so I looked them up online. The designers that celebrities are wearing were going to cost me at least 100 bucks and the really costly designers were closer to $500 per pair! I can't do that sort of thing, not many of us can. 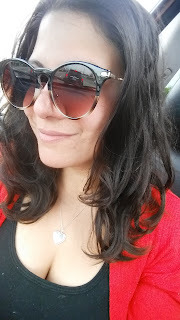 Then I discovered GlassesShop, a way to order all sorts of glasses online, both sunglasses and prescription glasses, in the specific styles that I crave, the ones that all the celebs are rocking, for such a reasonable price that I cannot even believe it myself! Thanks to GlassesShop, I got these glasses in the Great Gatsby style that I wanted that is similar to the ones that I spied online that cost over $200! And let me tell you, I am someone who has the costly designer brands as well, and these rival those pairs, in quality and style. They arrived neatly wrapped in a cleaning cloth, inside of a sturdy and slim eyeglasses case. I really like the case too. 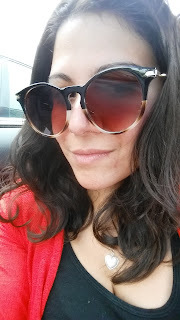 These are some NICE sunnies! I love them! If you visit GlassesShop.com and use this code at checkout (GSHOT50), my readers will receive 50% off ... even prescription sunglasses! 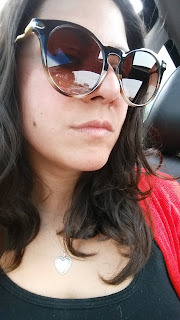 That's eyeglasses and sunglasses with free frames, but it does exclude frames already on sale. 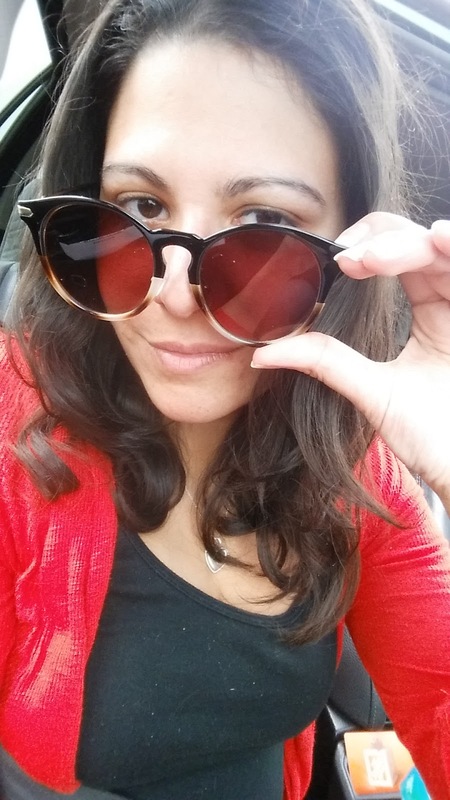 So, if you are in need of a new pair, check out GlassesShop! And for now, the Dirty Vegan is signing off. 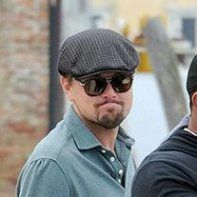 I hope your day is Leonardo DiCaprio cool. Do ya'll remember Bugles? You know those tiny little crunchy cornucopias that were pretty darn tasty and extremely addictive? Now imagine that you want a natural and vegan option. Well, look no further! Here I present to you... Laiki rice crackers! 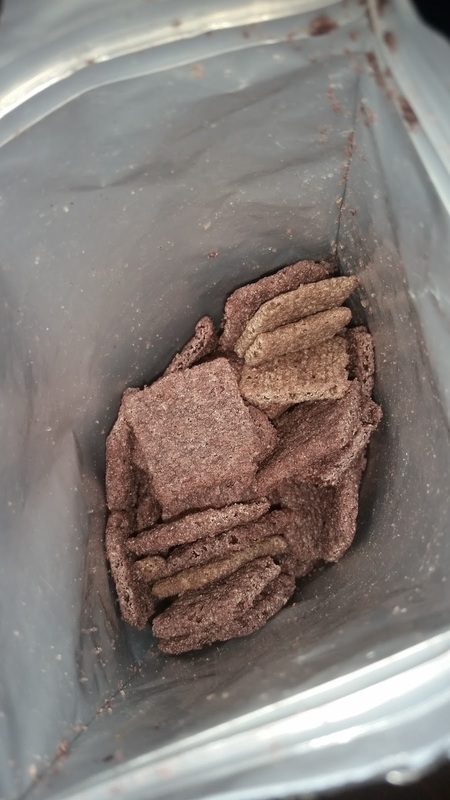 These light and delicious crispy crackers are ONLY 3 ingredients! Rice, oil, salt - that's it! These scrumptious snacks are also 100 percent whole grain, gluten-free, non-GMO, all natural and vegan of course! 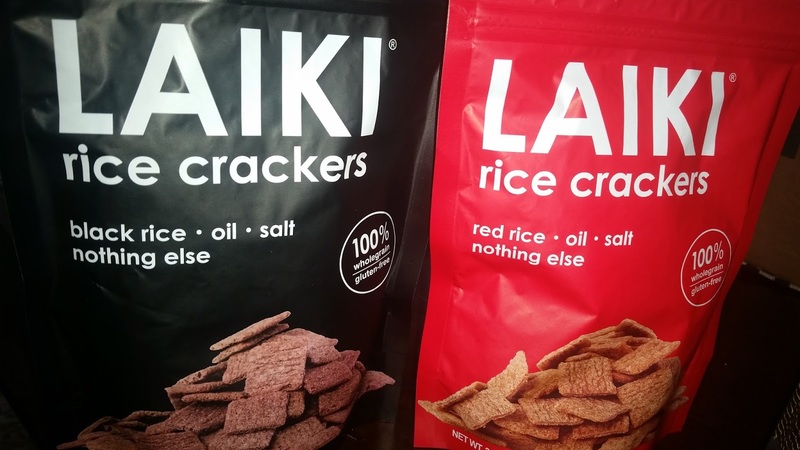 Hoda Kotb raved on the Today Show, about how she's eating these snacks by the bagful. I can totally see why! 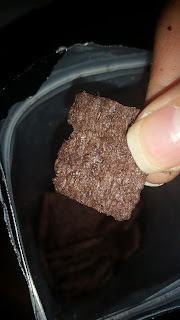 These are so yummy and it is really hard to stop at just a handful of these, yet I feel completely guilt-free after eating them. 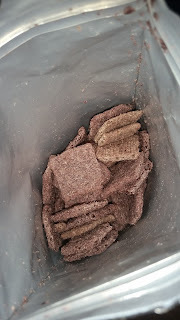 Plus, they remind me of healthy Bugles soooo... see there is nothing that us vegans can't have! And for now, the Dirty Vegan is signing off. I hope you all have a crunchy day... you know I will!